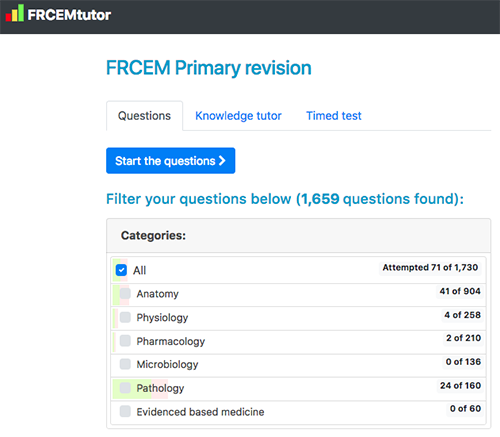 With over 5000 questions split between our knowledge tutor question tool and FRCEM primary SBA question bank FRCEM tutor is the most comprehensive FRCEM primary resource available. Our site boasts several innovative features and is constantly reviewed and updated in response to feedback. We have helped thousands of doctors pass the intimidating FRCEM Primary. Why not take a free demo? 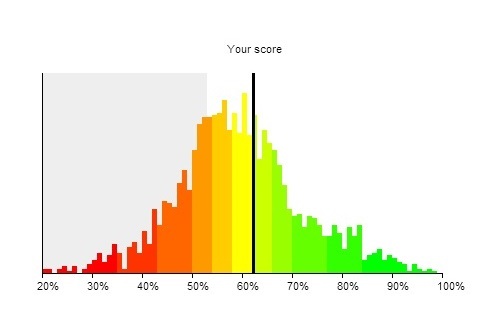 FRCEMtutor constructs a histogram based on other candidates scores which is updated on a daily basis. This not only allows you to see where you are in the pecking order but also helps predict whether you're ready to take the exam. 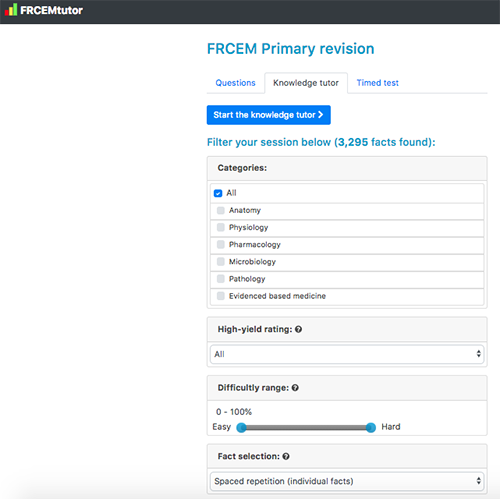 The knowledge tutor has been designed to compliment our FRCEM SBA question bank. Research has proven the substantial benefits of spaced repetition learning and the knowledge tutor utilises these methods to drill home key medical facts that are likely to come up in the exam. This powerful revision tool allows doctors to adjust facts based on difficulty and yield rating.